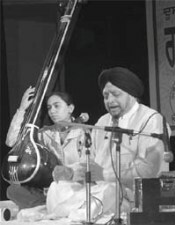 In the postgraduate course of Gurmat Sangeet, students are taught different ragas and singing styles as contained in Sri Guru Granth Sahib and raga-based kirtan chaukis. 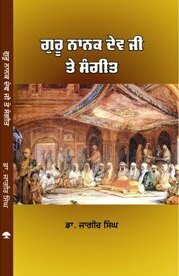 In addition to providing in-depth study relating to Sikh religious principles and practical training of Gurmat Sangeet, workshops on communication skills in English are also held to meet global requirements. Besides India, gurdwaras and Sikh missionary institutes in Europe, Singapore, Canada, and the US, want professional granthis from Punjab and are ready to pay a handsome pay package with ample facilities. "With this course, getting a visa and work permit for a foreign country becomes easy. As a result the course is gaining popularity and every year we are getting more and more students," says Gurnam Singh, Head, Department of Gurmat Sangeet. "Many of our students recruited abroad are getting more than $6,000 per month along with free lodging and boarding," he added. "The employers want the students to be educated and well versed in English, so that good ragis are able to train others," says Dr Gurnam Singh. As the SGPC and the Delhi Sikh Gurdwara Management Committee have reportedly failed to produce professional ragis for their gurdwaras, the department is catering to the huge demand.